September the 20th marked the launch of Open Russia, a pro-European political movement spearheaded by former Russian oil tycoon Mikhail Khodorkovsky. Russia’s former wealthiest man was released from prison in December 2013 due to a pardon by Vladimir Putin, after serving close to 10 years in jail following his conviction in 2005. Although officially convicted of tax evasion and embezzlement, it seems that Khodorkovsky was singled out among the Russian oligarchs due to him using his mass fortune to interfere in domestic Russian politics, in an attempt to overthrow Putin for the benefit of the Western elite. Open Russia is the rebirth of the Open Russia Foundation, which was launched in 2001 by Khodorkovsky to foster animosity in Russia but was later shut down after the tycoon was behind bars. 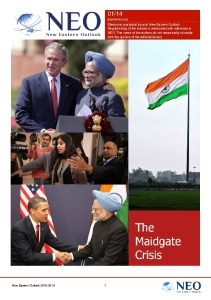 The board of the Open Russia Foundation included two Anglo-American titans, namely Henry Kissinger and Lord Jacob Rothschild, revealing the mindset and intentions of the individuals who steered the foundation. Khodorkovsky profited immensely from the mass privatisation of state assets following the collapse of the Soviet Union in the 1990’s, at a time when corruption and back-door deals was the norm in Russia. He was the Chairman and CEO of the Russian based ‘Yakos Oil Company’ from 1997 to 2004, where he acquired an immense fortune leading him to be named the 16th wealthiest person on earth by Forbes magazine in 2004, worth a staggering $15 billion. Immediately after his release from prison at the end of 2013, Khodorkovsky declared on numerous occasions that he had no desire to enter politics. Yet only months after his initial statements he has launched a pro-European political movement within Russia, openly called for the overthrow of Putin in Moscow, announced he would be interested in leading Russia as President in the coming years, as well as asserting that Ukraine is the “model” for Russia to follow in the future. “I feel it imperative that the section of the population that is Europe-centered would have the opportunity to impact the way the country develops…. Without a doubt, Putin’s leaving is one of the necessary elements of Russia being able to take a European path of development…. It’s clear that Ukraine is that model that Russia is ready to accept and it’s precisely for this reason that Putin was so not interested in seeing the success of that revolution”, Khodorkovsky told the Daily Beast in an interview earlier this month. 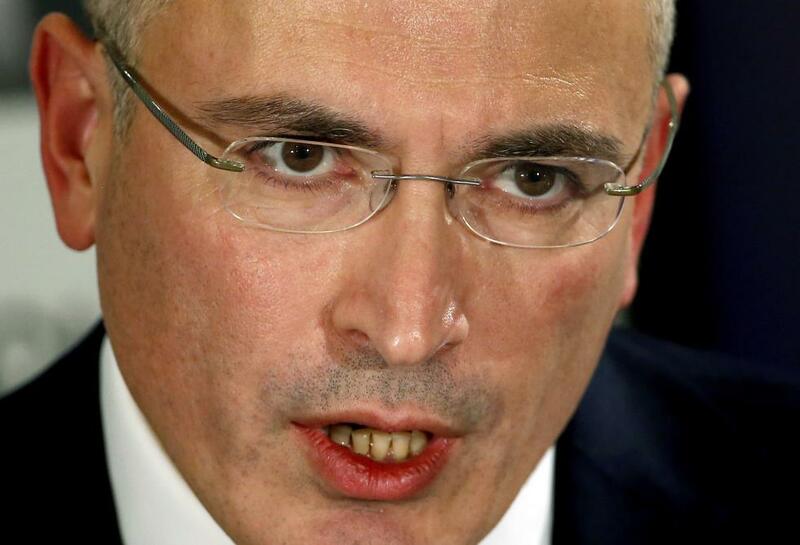 Khodorkovsky recently demonstrated that he still has very close links with the Anglo-American Establishment after speaking at the most distinguished think tank in America, the Council on Foreign Relations (CFR). 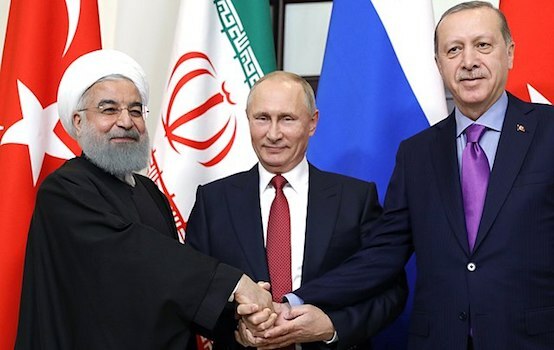 He also delivered a speech at Freedom House, an organisation that has been involved in the majority of Western orchestrated colour revolutions that have erupted across the planet over the past two decades. A Russia with a nationalist, pro-sovereignty leader at the helm though, obstructs this agenda to merge East with West, explaining why Russia and Putin have come under unprecedented assault by the U.S. and EU over the past year. Sanctions have been imposed on Russia through no fault of the government in Moscow. The West created the problem in Ukraine by instigating a colour revolution that disposed of the democratic elected government and destabilised the country. They then supported their political prostitutes and an assortment of neo-Nazi thugs who proceeded to wage a war in the East of the country, which has claimed the lives of “at least 3,660 people” and has displaced close to 400,000 Ukrainian’s, according to a recent United Nations (U.N.) report. But in the Orwellian world of today where the truth is inverted, the Russian government has been demonised and punished for a crisis that they did not create or exacerbate. Despite London and Washington’s repeated attempts to overthrow the government in Moscow however, Putin remains in power. Russia is a much stronger and more powerful country than other nations which have been toppled and absorbed into the Anglo-American-European sphere of influence. Staging a successful political revolution in Russia may prove too great a challenge for the Western elite in the years to come….